CH2Mer Amy Gao will present her paper, "Lessons Learned From Ozone Contactor Tracer Testing at Little Falls Water Treatment Plant," co-authored by Russell Ford, CH2M Global Drinking Water Leader, at the American Water Works Association's Water Quality Technology Conference, in Salt Lake City, Utah, on Wednesday, November 18. Read today's Access Water for more information on this case study. The American Water Works Association (AWWA) will host their Annual Conference and Exposition (ACE), June 7-10. This year, water professionals are headed west and will convene in Anaheim, California, to share the latest innovations and technical knowledge. CH2M’s Dr. Russell Ford highlights CH2M’s engagement in this year’s conference. Throughout ACE15, CH2Mers will present on a variety of topics related to this year's theme "uniting the world of water", participate in workshops and engage in committee meetings, divisions and councils. We are looking forward to taking advantage of all that AWWA ACE15 has to offer and hope to connect with many of you there. Check out CH2M's full schedule of conference activties and be sure to follow us on social media for live updates from Anaheim! The American Water Works Association (AWWA) will host their Annual Conference and Exposition (ACE), June 8-12. This year, water professionals are heading to the northeast and will convene in Boston to share innovative ideas and technical expertise at ACE14. Dr. Russell Ford shares a glimpse of CH2M HILL’s participation in the conference. The American Water Works Association (AWWA) annually presents George Warren Fuller Awards to the AWWA Sections’ selected members for their distinguished service to the water supply field, in commemoration of sound engineering skill, brilliant diplomatic talent, and constructive leadership. The Fuller Award is the highest honor for leadership given by AWWA, and CH2M HILL is proud to have two employees - Matt Alvarez and Dr. Russell Ford - being recognized with the award during the Fuller Award Breakfast at AWWA ACE on June 13, 7:30am-9:00am. This coming week the American Water Works Association’s (AWWA) Annual Conference and Exposition (ACE) will be in Dallas, Texas. Many CH2M HILL employees will be attending and participating, and will be sharing their expertise not only on the conference floor but also on Access Water. Dr. Russell Ford, CH2M HILL Vice President and Drinking Water Infrastructure Global Service Leader, helps to kick-off the week with a blog about what to expect from ACE, what CH2M HILL is up to at the conference, and where to find us. If we don't see you in Dallas, we hope to engage with you virtually! Drinking water utilities have a responsibility to protect public health by providing drinking water that meets ever more stringent federal and state regulations. 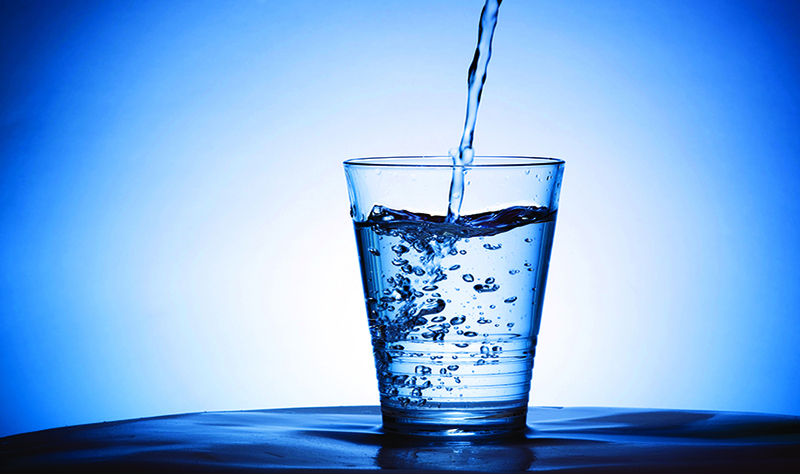 The overall goal of a water system is to deliver drinking water at a reasonable cost to customers. So the question is - how can a utility maintain quality while also keeping costs affordable? As Drinking Water Week celebrations continue, Dr. Russell Ford, CH2M HILL Drinking Water Infrastructure Global Service Leader, shares technology advances that have afforded the water industry an opportunity to optimize how they deliver water to their customers. Dr. Russell Ford, CH2M HILL Vice President and Deputy Global Service Leader - Drinking Water Infrastructure, sends a message sharing CH2M HILL's goals and activities for American Water Works Association ACE 2011. We look forward to sharing the latest water industry innovations and networking with our peers. Hope to see you in Washington, DC!